The Rolls Royce engined, $506,940 (£350,000) MadMax Turbine bike that set a speed record of 231.5mph in 2015 is set to run again at the Straightliners Top Speed Weekend on May 21st – 22nd, 2016. The turbine-powered bike, built by Zeff Eisenberg, does all of this despite the fact that it has no aerodynamic fairing or wind-protection. To reach these speeds with such poor aerodynamics, the turbine creates around 500hp at the rear wheel, with torque levels of over 1000 lb ft at the rear tyre, and it can also make use of an automated water/meth injection system to increase the power yet further if required. Oh, it’s road legal too! 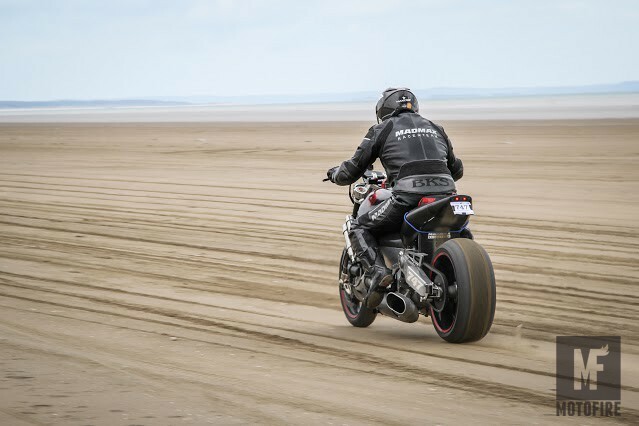 If you want to catch this bike in action, you can head down to the seven-mile-long beach set on the scenic shores of Carmarthen Bay on the south coast of Wale – Pendine Sands – at the Straightliner May event.